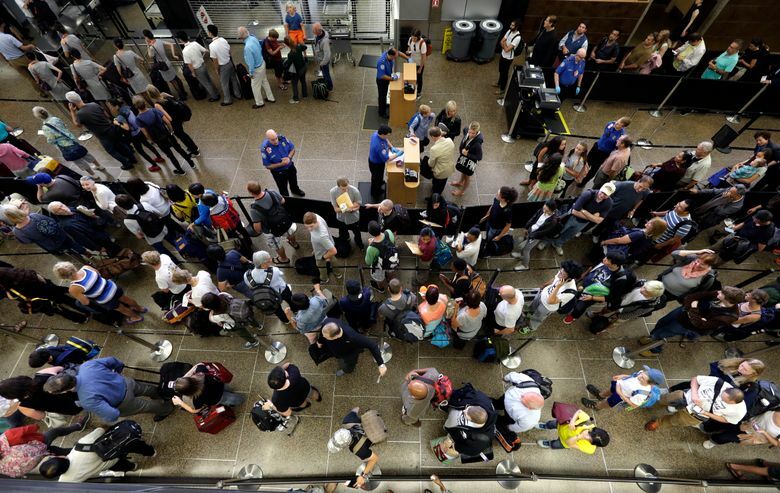 Four million passengers passed through Sea-Tac Airport in June, breaking a monthly record set in 2014 but straining services and creating long lines at security checkpoints. Passenger traffic is up 13 percent so far this year, airport spokesman Perry Cooper said. The crowds could grow. Preliminary numbers show July will likely top June, and August is always a busy month of the year. The Official Airline Guide, which collects data for the global airline industry, lists Sea-Tac as one of the fastest-growing among the top 20 airports in the U.S. 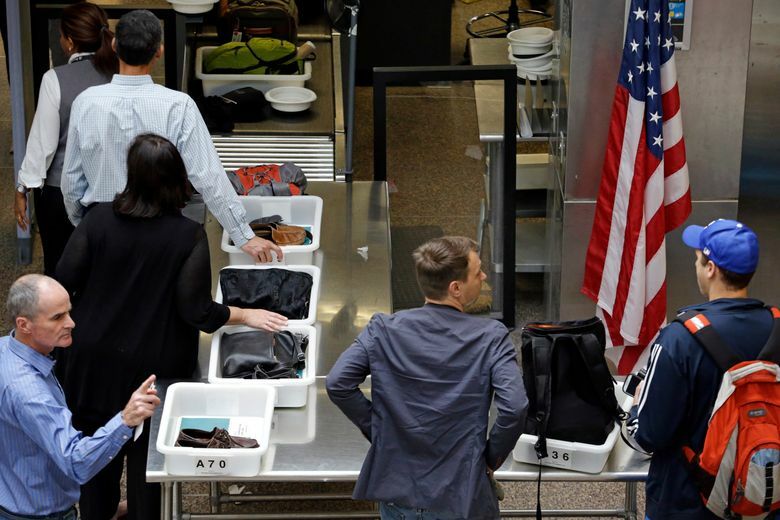 In response, the Transportation Security Administration added officers to screen departing travelers in Seattle. U.S. Customs and Border Protection has 10 new people to welcome arriving international passengers. But travelers say it’s not enough. On a recent morning, hundreds of travelers spent almost an hour shuffling through the security screening rope maze to reach the machines that would search their luggage. Anthony Kwacz, of Seattle, said he travels up and down the West Coast and believes not enough is being done to relieve the pressure in the crowded terminal. The lines appear daunting, Cooper said, but they actually move rather quickly, considering how many people are passing through the airport. 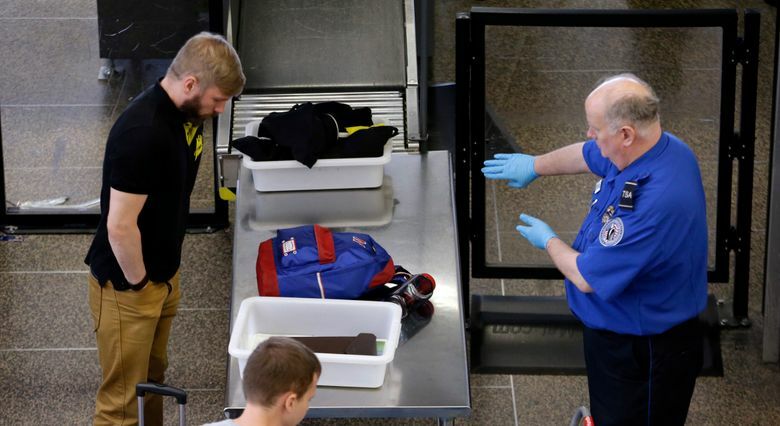 TSA screened 7.2 million people at Sea-Tac in the first six months of this year, agency spokeswoman Lorie Dankers said. 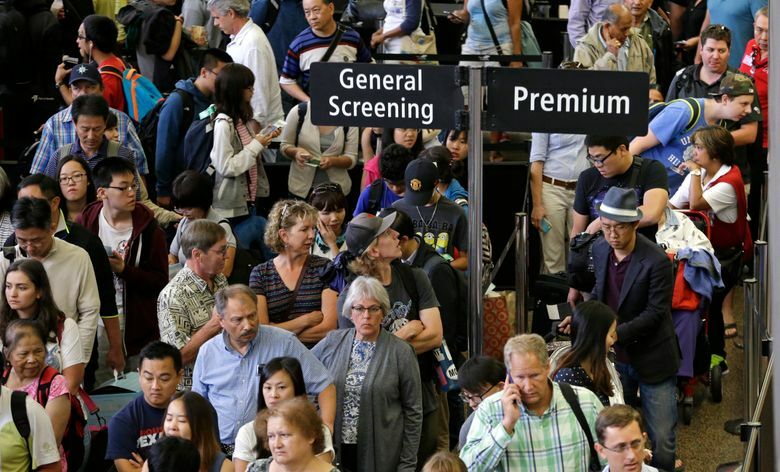 TSA screened more than 1.5 million people in August 2014 and expects to hit 1.7 million this month. 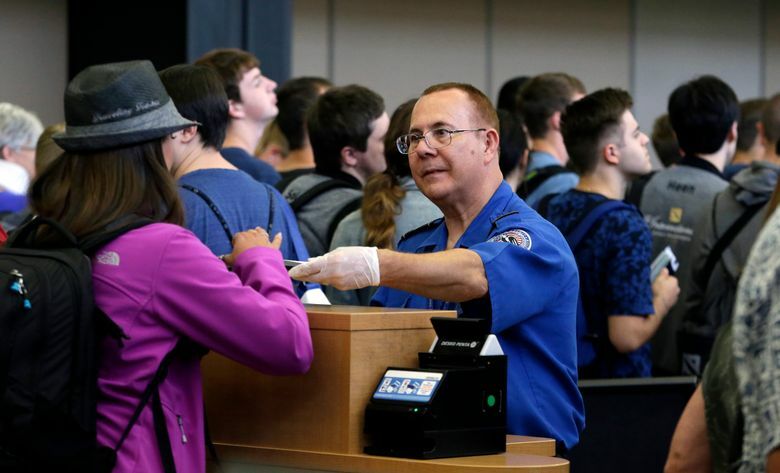 Unlike many U.S. airports, Sea-Tac’s busiest days are not on the weekend, but during the week when business travelers and cruise ship passengers move through, Cooper said. Amazon.com Inc., Microsoft Corp. and Boeing Co. have bases in the Seattle area. T-Mobile and Expedia Inc. also employ thousands in the region. 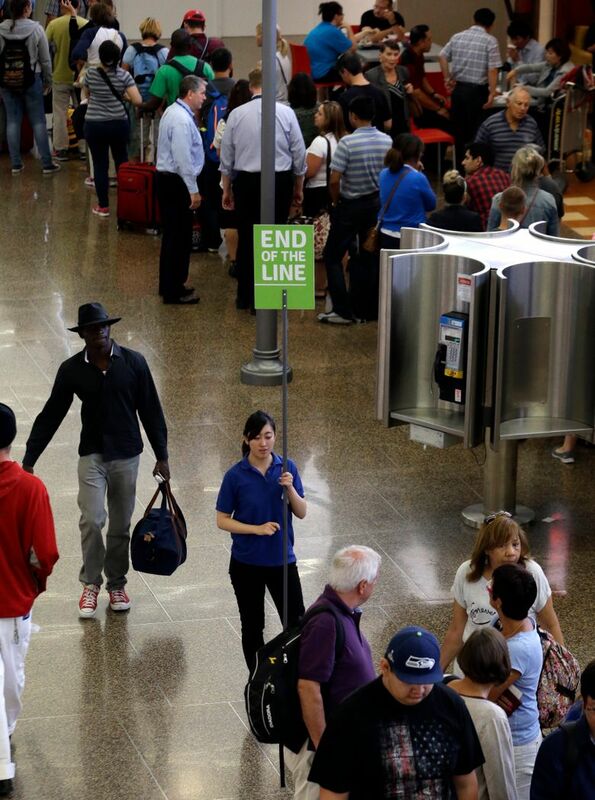 Sea-Tac is much smaller than airports such as those in Denver and Chicago that host tens of millions of passengers. Sea-Tac covers about 4.2 square miles, while Denver International Airport covers more than 53 square miles. Airlines have added new routes, and a few are servicing Seattle for the first time, putting pressure on the limited space at Sea-Tac’s 80 gates. One of the biggest growth areas is international travel, he said. 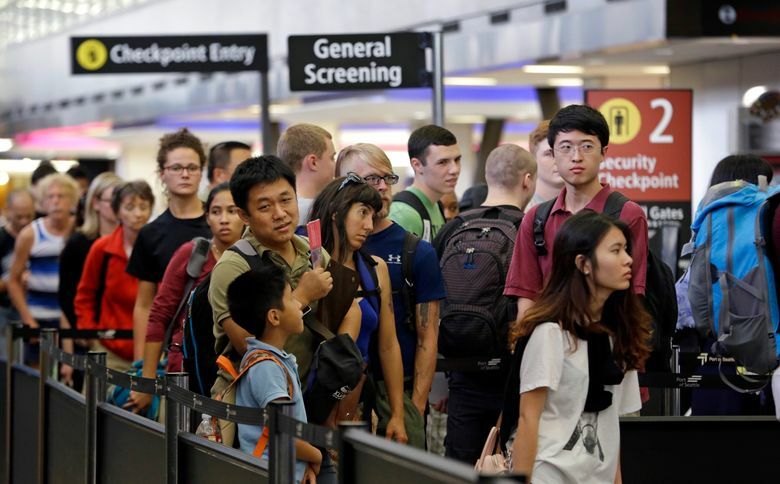 International fights in June increased 12.7 percent over June 2014, and so far in 2015, Sea-Tac has seen a 15.7 percent increase in international passengers, Cooper said. Emirates Airlines added a second nonstop daily flight between Dubai and Seattle last month. Hainan Airlines added a flight to Shanghai, China. Both Delta Air Lines and Alaska Airlines added a list of new nonstop domestic flights this year. 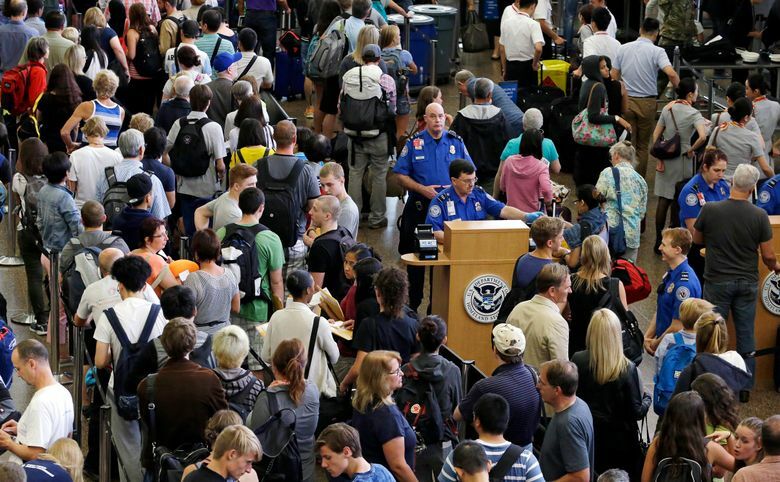 Kristin Maypole, spokeswoman for U.S. Customs and Border Protection, said the agency is using new technology to process international passengers. By April, it had installed 26 Automated Passport Control kiosks, reducing processing time by about 15 minutes, she said. Despite the increase in the number of planes, the Federal Aviation Administration has not changed staffing. 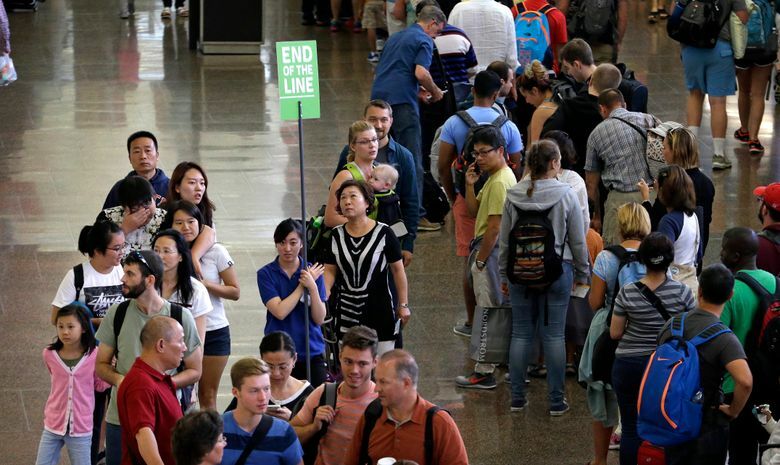 The previous monthly record at Sea-Tac was 3,968,007 million set in August 2014. This story has been corrected to give the proper name of the Transportation Security Administration.